Happy Friday, Lovelies! 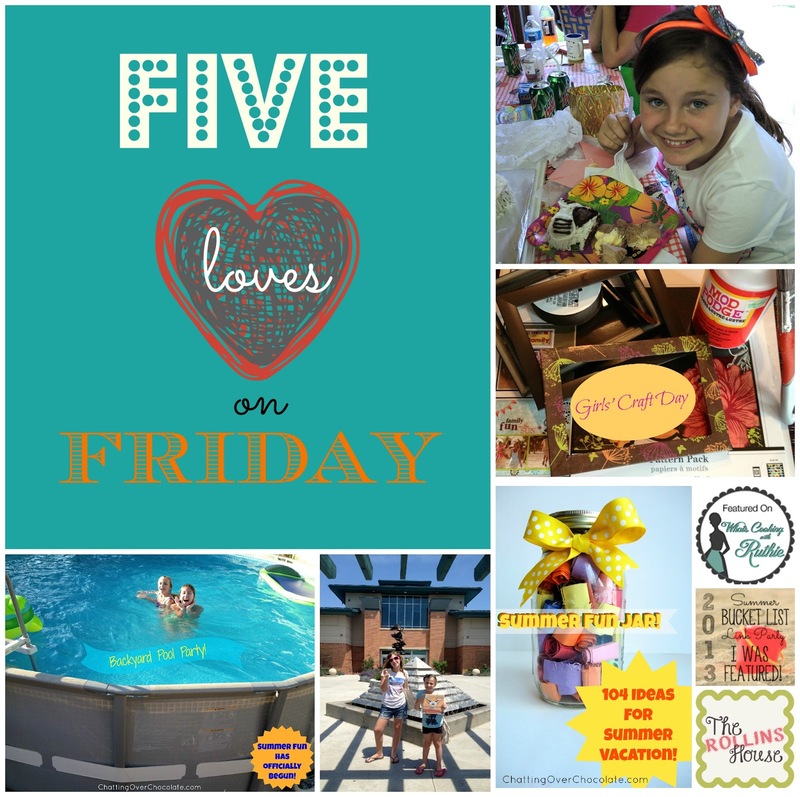 Excited to share 5 things that made my heart happy this week! 1. 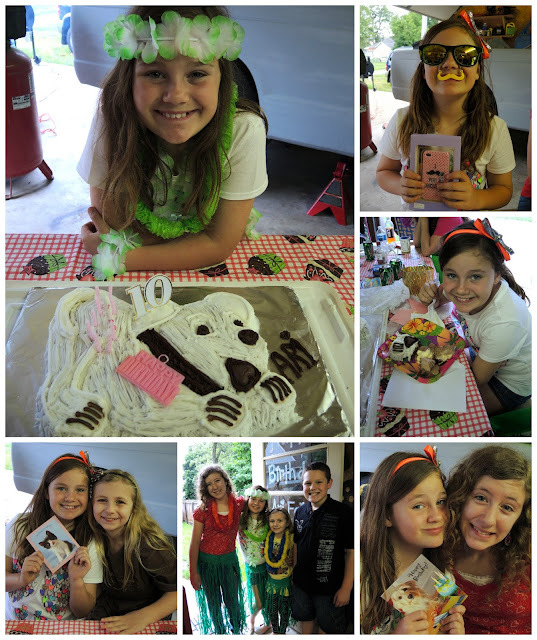 We celebrated my niece hitting DOUBLE DIGITS! 3. Our pool is officially open for Summer Fun in the Sun! 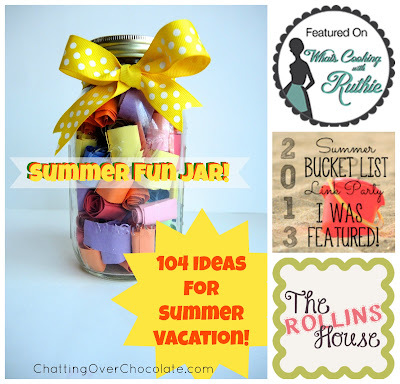 I was tickled pink to have my 104 Days of Summer Vacation post featured at What's Cooking with Ruthie's Super Saturday Show & Tell, and as Sharon of Life After Empty Nest's favorite at the Summer Bucket List Link Party! 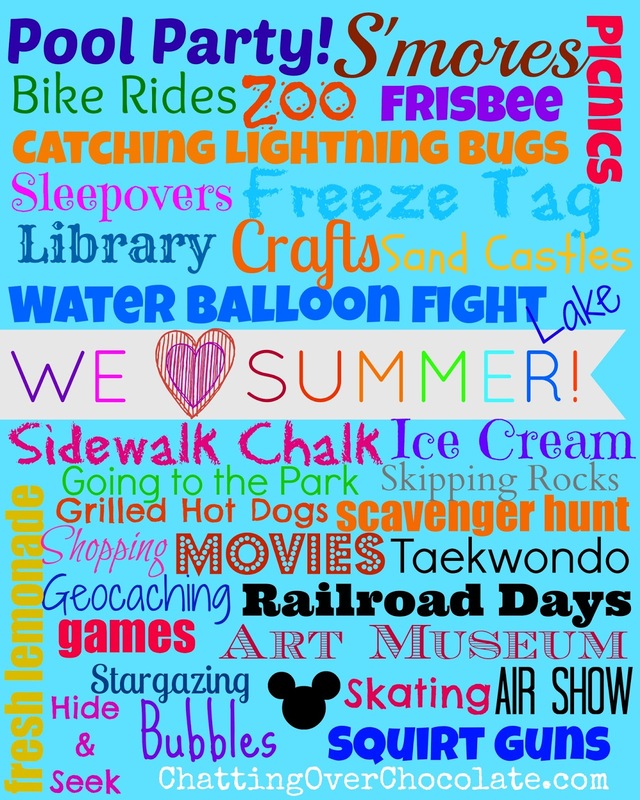 I also spotted it in a Kids Summer Activities roundup at The Rollins House. :) A big THANK YOU to Ruthie, Sharon, and Jenn! You made my day! My Five Loves on Friday posts are OFFICIALLY ON SUMMER VACATION! *I do still plan to continue Magical Mondays, Wednesday Pinteresting posts, "35 by 35!" on Thursdays, along with some scrumptious recipes and crafty tutorials here and there too! 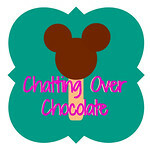 ;) Not abandoning Chatting Over Chocolate, just breaking from Five Loves so I can enjoy more time with my Loves! & savoring each precious Summer day with my sweeties! Happy Friday, friends! Thanks for stopping by! Don't be shy. Please say, "HI!" 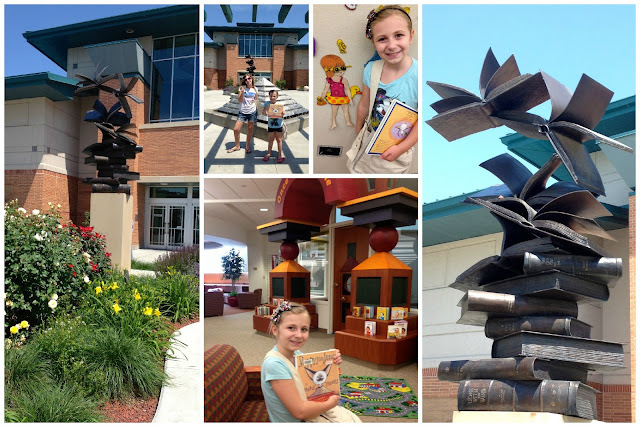 I am totally in love with that book sculpture! 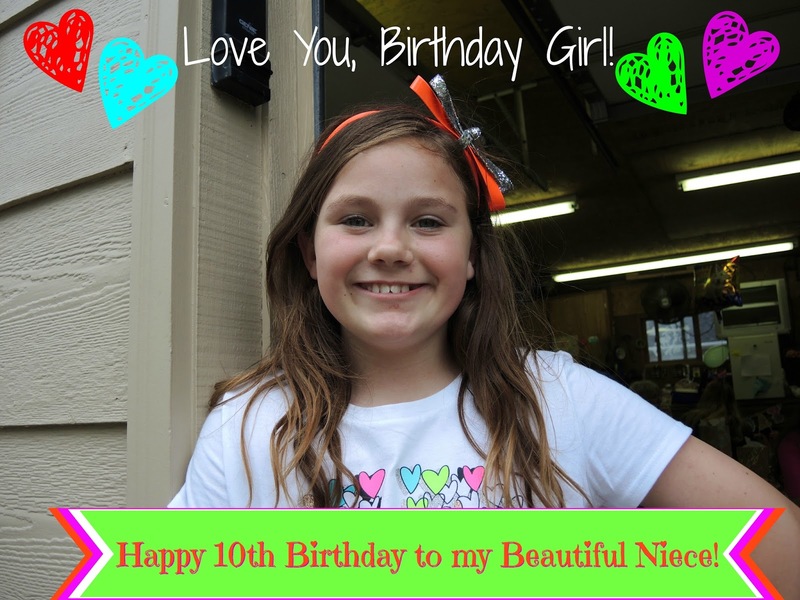 It's beautiful!and your niece turning double digits awesome...I wish I could go back to one digit birthdays, once you get up hill, it's not fun anymore..LOL...Big hug my friend, enjoy your totally fantastic pool and loves! Ok that's it we're done no longer friends ... hehe so many features (just a tinge jealous can you tell ... lol). Happy Birthday to your Niece, the party looks like so much fun! 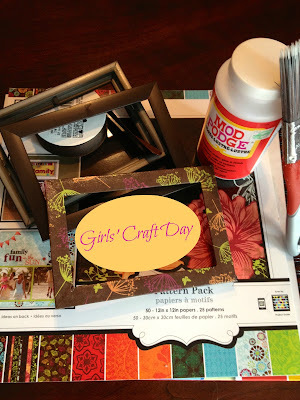 I so want to come over for Girl craft day! 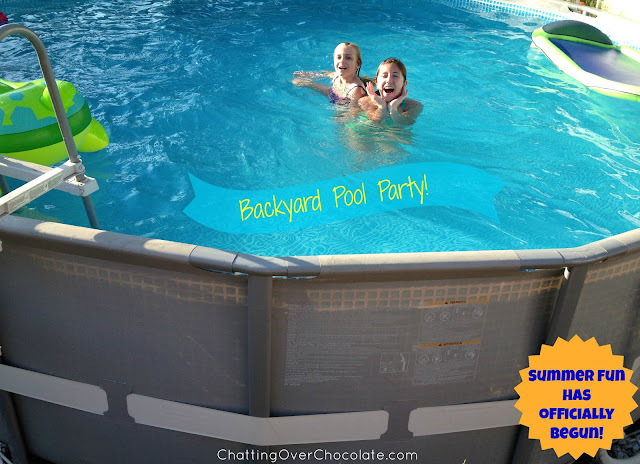 We have the smaller version of that pool, I so wish my husb would clean ours up so we could go in it! Had to come back and look at that pool so want to jump in!!! Yay for summer and pool time!